Match ends, Doncaster Rovers 1, Newcastle United U21 3. Second Half ends, Doncaster Rovers 1, Newcastle United U21 3. Attempt missed. Tom Anderson (Doncaster Rovers) header from the centre of the box is close, but misses to the left. Sean Longstaff (Newcastle United U21) is shown the yellow card for a bad foul. Foul by Sean Longstaff (Newcastle United U21). Matty Blair (Doncaster Rovers) wins a free kick in the attacking half. Foul by Callum Roberts (Newcastle United U21). Sean Longstaff (Newcastle United U21) wins a free kick on the left wing. Foul by Elias Sorensen (Newcastle United U21). Attempt missed. Herbie Kane (Doncaster Rovers) right footed shot from outside the box is high and wide to the left. Corner, Doncaster Rovers. Conceded by Callum Roberts. Goal! Doncaster Rovers 1, Newcastle United U21 3. Elias Sorensen (Newcastle United U21) right footed shot from the centre of the box to the bottom right corner. Assisted by Matthew Longstaff. Corner, Newcastle United U21. Conceded by Tom Anderson. Attempt missed. Owen Bailey (Newcastle United U21) right footed shot from outside the box is close, but misses to the right. Corner, Newcastle United U21. Conceded by Niall Mason. Matthew Longstaff (Newcastle United U21) wins a free kick in the defensive half. Attempt saved. Branden Horton (Doncaster Rovers) left footed shot from outside the box is saved in the centre of the goal. Substitution, Newcastle United U21. Lewis Cass replaces Liam Gibson because of an injury. Delay in match Liam Gibson (Newcastle United U21) because of an injury. Corner, Doncaster Rovers. Conceded by Kelland Watts. Delay in match Issam Ben Khemis (Doncaster Rovers) because of an injury. Substitution, Newcastle United U21. Matthew Longstaff replaces Thomas Allan. Delay in match Jamie Sterry (Newcastle United U21) because of an injury. Attempt blocked. Alfie May (Doncaster Rovers) right footed shot from outside the box is blocked. Foul by Issam Ben Khemis (Doncaster Rovers). Callum Roberts (Newcastle United U21) wins a free kick in the defensive half. Matty Blair (Doncaster Rovers) is shown the yellow card for a bad foul. Sean Longstaff (Newcastle United U21) wins a free kick in the defensive half. Elias Sorensen (Newcastle United U21) wins a free kick in the attacking half. Substitution, Doncaster Rovers. Alfie May replaces Alfie Beestin. Goal! Doncaster Rovers 1, Newcastle United U21 2. Callum Roberts (Newcastle United U21) left footed shot from the centre of the box to the bottom right corner. Assisted by Adam Wilson with a cross. Adam Wilson (Newcastle United U21) wins a free kick in the defensive half. Owen Bailey (Newcastle United U21) wins a free kick in the attacking half. Substitution, Newcastle United U21. Adam Wilson replaces Jesus Nunez-Cumbreras. Foul by Alfie Beestin (Doncaster Rovers). Jamie Sterry (Newcastle United U21) wins a free kick in the attacking half. Attempt missed. Herbie Kane (Doncaster Rovers) right footed shot from outside the box is close, but misses to the left. Sean Longstaff (Newcastle United U21) wins a free kick on the right wing. Attempt missed. Matty Blair (Doncaster Rovers) right footed shot from outside the box is just a bit too high. Liam Gibson (Newcastle United U21) wins a free kick in the defensive half. Attempt missed. Branden Horton (Doncaster Rovers) left footed shot from outside the box is close, but misses to the right. Second Half begins Doncaster Rovers 1, Newcastle United U21 1. First Half ends, Doncaster Rovers 1, Newcastle United U21 1. Kelland Watts (Newcastle United U21) wins a free kick in the attacking half. Goal! Doncaster Rovers 1, Newcastle United U21 1. John Marquis (Doncaster Rovers) right footed shot from a difficult angle and long range on the right to the top left corner. Jamie Sterry (Newcastle United U21) wins a free kick in the defensive half. Corner, Doncaster Rovers. Conceded by Liam Gibson. Attempt blocked. Mallik Wilks (Doncaster Rovers) left footed shot from the right side of the box is blocked. Attempt missed. Niall Mason (Doncaster Rovers) right footed shot from outside the box misses to the left. Issam Ben Khemis (Doncaster Rovers) wins a free kick in the attacking half. Foul by Owen Bailey (Newcastle United U21). Corner, Newcastle United U21. Conceded by Branden Horton. Jamie Sterry (Newcastle United U21) wins a free kick on the left wing. Thomas Allan (Newcastle United U21) wins a free kick in the attacking half. Substitution, Doncaster Rovers. Niall Mason replaces Mitchell Lund because of an injury. Delay in match Mitchell Lund (Doncaster Rovers) because of an injury. Mitchell Lund (Doncaster Rovers) wins a free kick on the left wing. Foul by Liam Gibson (Newcastle United U21). Corner, Doncaster Rovers. Conceded by Nathan Harker. Attempt saved. Alfie Beestin (Doncaster Rovers) header from the centre of the box is saved in the top right corner. Foul by Kelland Watts (Newcastle United U21). Attempt blocked. Herbie Kane (Doncaster Rovers) right footed shot from the right side of the box is blocked. Substitution, Doncaster Rovers. Branden Horton replaces Tommy Rowe because of an injury. Goal! Doncaster Rovers 0, Newcastle United U21 1. 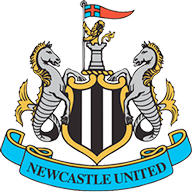 Thomas Allan (Newcastle United U21) left footed shot from the centre of the box to the centre of the goal. Assisted by Sean Longstaff. Attempt blocked. 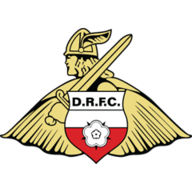 John Marquis (Doncaster Rovers) left footed shot from the centre of the box is blocked. Corner, Doncaster Rovers. Conceded by Jamie Sterry. Attempt blocked. Jesus Nunez-Cumbreras (Newcastle United U21) left footed shot from the centre of the box is blocked. Mallik Wilks (Doncaster Rovers) hits the left post with a left footed shot from the centre of the box. Callum Roberts (Newcastle United U21) wins a free kick on the left wing.